Now you may think coconut oil is coconut oil is coconut oil. But it isn’t. At Expo West, I saw several jars of coconut oil open, delabeled and sitting next to each other for inspection. One had no scent at all, another had a very “interesting” (not in a good way) texture, but one jar stood out as exceptional. This is our #7 Top Pick! Kelapo is special. Hailing from Sri Lanka, this oil is cold-pressed, unrefined and organic. With oil, oxidation is a no-no. Oxidation comes primarily from heat and light, making the processing and packaging of the oil highly important. The cold-press process prevents the damage that heat can cause to the oil and their brown amber jar protects the oil and thereby extends its shelf life, especially if you need to stock up! This is the more expensive option, but I’m glad that Kelapo isn’t willing to sacrifice the quality of their oil through cheaper packaging. I am very picky about oils and never buy any oil, whether it be olive, pistachio or avocado, in a clear jar or in plastic. 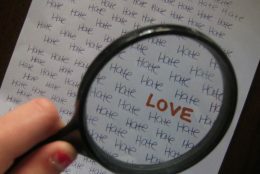 But think about how often you see oil packaged in clear glass or plastic! And think about how these are usually kept by the stove, being affected by the heat of cooking and the light of the kitchen! If you’re up for another thought, how about all that plastic leaching into your “healthy” oil? I’d rather not think about it. There’s a lot of damaged oil out there on shelves and on people’s counters. Come to think of it, almost every other coconut oil I’ve seen is packaged in clear glass or plastic. Except Kelapo. Kelapo is free from animal products and is also produced in a dairy-free and nut-free facility meaning that we can all feel safe and sleep soundly. 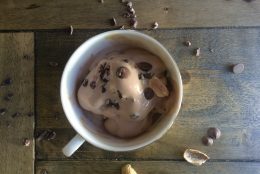 My friends over at Kelapo want to give you an 8oz. jar (dark amber of course) of their incredible coconut oil. All you have to do is enter! I’ve heard so many good things about coconut oil and would love to try it! I have been looking for a better brand of coconut oil , The oil I use has been packaged in a clear jar,so I try to use it quickly. I love the fact that they also have a spray coconut oil! Where do you suppose I could buy it near Pasadena, CA? I would switch to Kelapo just for the mere fact that you don’t have to worry about food allergies and cross contamination of other foods. I love that it’s produced in a kosher manner. I’ve heard about coconut oil but haven’t tried it yet. This would be a great opportunity to do so! Would love to try, definitely looking for a brand I Love! Because there are no GMOs. GMOs disturb me, and I have been trying to buy foods that are GMO free. I love that it is fair trade, abd vegetarian. 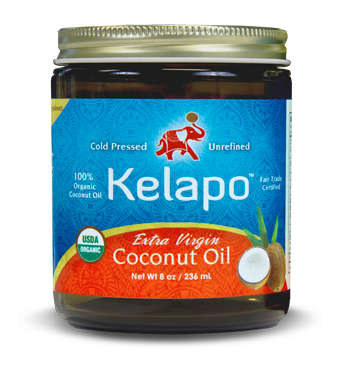 Some coconut oils are not always pure, and I know that Kelapo Coconut oil is pure coconut oil, and amazing. That is why I would switch over. I would switch because it’s organic, non-gmo and a lot healthier. I would make the switch to Kelapo coconut oil for all of its wonderous health benefits and a bonus is that it replaces so many skincare beauty products that I use. 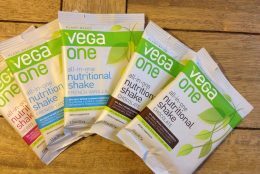 Vegan chocolate bars are SO expensive, and I’m a starving college student over here! Coconut oil is awesome for making homemade chocolate. Plus, I just need a better sauteeing liquid as I currently can’t find any vegetable bouillon cubes that aren’t loaded with tons of crap ingredients. I would love to try it,sounds very good.